Join the Stoneham Chamber of Commerce October 30 for a multi-chamber networking reception at the Greater Boston Stage Company. 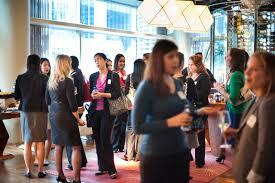 Meet, greet and network with more than 200 area professionals from several local area Chambers. Table space will be available for business cards and promotional materials. An Optional Workshop will be offered at 5:30pm, with a reception to follow, 6:30 until 8:00pm. Meet professionals from area chambers and enjoy complimentary appetizers and cash bar. Nonverbal communication accounts for at least 60 percent of our communication, don’t leave out most of your communication skills! Increase Influence levels by portraying higher levels of confidence, leadership and presence. Topics covered will include body language science and history, as well as what your body language does and can say about you. Learn how to put your best self forward through improved nonverbal presence, connection and engagement. $10 for Chamber members, $20 for non-members and guests. This event requires registration. Register here!